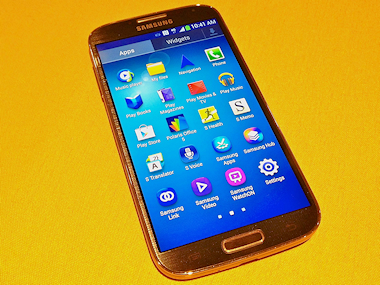 Samsung has another variant of its flagship Galaxy S4 smartphone in the pipeline, one that promises to send and receive data at nearly twice the speed 4G users are accustomed to. Samsung co-CEO JK Shin said today that the company has developed a modified Galaxy S4 that supports LTE-Advanced. This next-generation 4G LTE standard supports significantly speedier data rates — theoretically up to three gigabits down and 1.5Gbps up — though real-world speeds are expected to top out between 150 megabits per second and 300Mbps. And there’s certainly a good chance that it will be, someday. But not for a while. A slick LTE-Advanced smartphone isn’t much good without an LTE-Advanced network to run on, and right now such networks are pretty sparse. Russian carrier Yota has one, and AT&T plans to begin rolling one out later this year. Verizon and T-Mobile are working on LTE-Advanced deployments, as well. But it will be some time before we see the sort of ubiquitous coverage necessary to get the best use out of this new Galaxy S4 that Samsung’s planning.